Sleeping under the stars has long been one of my favorite parts of summer. Some years ago I slept under a Montana sky as the aurora borealis shimmered like a massive video game across the sky. In Oregon by a favorite lake I craned my neck to count shooting stars. Last night as the sun set at my home in Massachusetts the sky was a deep red. Such natural occurrences carry a ‘wow’ factor and call us to look up and around. Such ‘wow’ moments can also serve as portals into the sacred, an invitation to look towards the source. Scientists surely offer answers as to why such phenomenon happen in the natural world. Yet for many of us, such ‘wow’ moments call us to look beyond the science to the source of the science. For many of us good science and good theology are not mutually exclusive. A scientist friend recently said that scientists are discovering indicators that suggest that there was a Big Bang before the Big Bang. If that doesn’t elicit a ‘wow’ response then check your pulse. As a non scientist (who loves science) and loves theology such exploration leads me to look up, out and within with renewed openness to being surprised. Could it be that the source of the Big Bang (or the precursor to the Big Bang) is also at work in your life and mine? 3000 years ago Abram and Sarai (in Genesis 18: 14) were met with the unexpected news that in their old age they would have a child. Sarai we are told, ‘laughed’ at this improbable news, to which a messenger from God responded: ‘Is anything too wonderful for the Lord’? 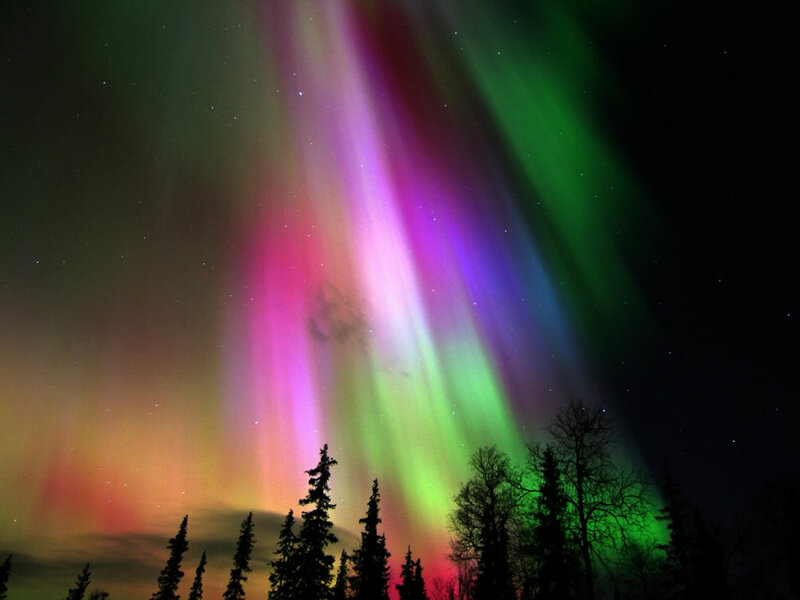 The ‘wow’ moments in life remind me that the fingerprints of the Creator are at work when charged particles from the sun penetrate the earths magnetic shield creating countless burst of light and form the aurora borealis. In response all I can do is say, ‘wow’ and ‘amen’. Workplace Discrimination: Not Good Enough for Jesus?